Well, I made my fiance something, but I’m going to share it with you. Blueberry pie. It’s too good not to share. The pictures may not be the prettiest, but this pie is the tastiest. Ryan really loves pie. 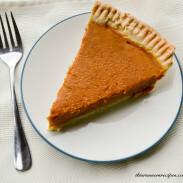 It’s is favorite dessert of all time, similar to how Dean Winchester loves pies. The thing is, making pie is difficult. I have no idea who came up with the saying “easy as pie,” because pie is difficult. That crust gets me every time – and even if I can get it to hold together, it looks more like it came out of a home economics class and less like it came out of the shiny pages of Real Simple. While my mom has patiently showed me many times how to make pie, I still cannot quite master it. Part of my problem might be that I can’t bring myself to use Crisco, which is the secret to her buttery pie crusts. Really though, I just struggle with that crust. At the ripe old age of 25, I still need to take baby steps in making pie. Baby steps = baby pie. That’s right, I made a little baby version of blueberry pie. Half the pie, half the crust, half the fuss, right? Actually, not. No matter how big or small the pie, the same perfection is required for the crust. Still, a smaller pie made it easier to practice perfecting that crust. I also realized that I could make the pie crust in my food processor. That makes this so much easier – why hadn’t I known this before? Thank goodness my mom got me that KitchenAid food processor for Christmas a while back. That thing is a meal-saver (or in this case, dessert-saver). Since we’re talking about holidays, I used a pie pan that was also a Christmas gift from my mom a couple years back. She got me the Nordicware Mini Pie Baking Kit, and honestly this was the first time I used it. A couple years I’ve had this and I am just now getting over my fear of making pie. That’s the downside of being a Type-A – sometimes I would rather not try than to try and burn an entire pie. I did not burn this pie, as the pictures prove. The crust may not be a cover of Real Simple gorgeous lattice crust. (In retrospect, I should have used the top cutter that came with the pie baking kit. Whoops. You bake and learn). That didn’t matter, though, because this blueberry pie was delicious. I am talking about go-back-for-seconds delicious. 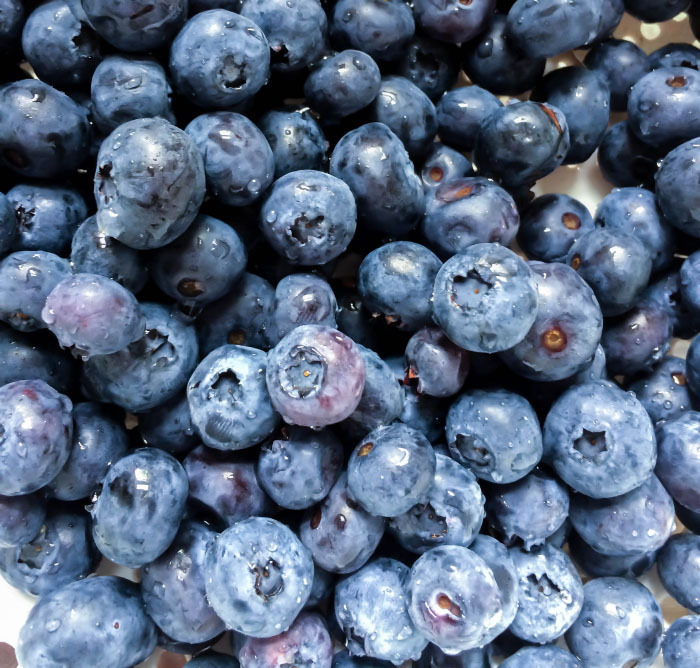 Summer’s fleeting, which means those perfect, juicy, colorful blueberries are this close to being out of season. 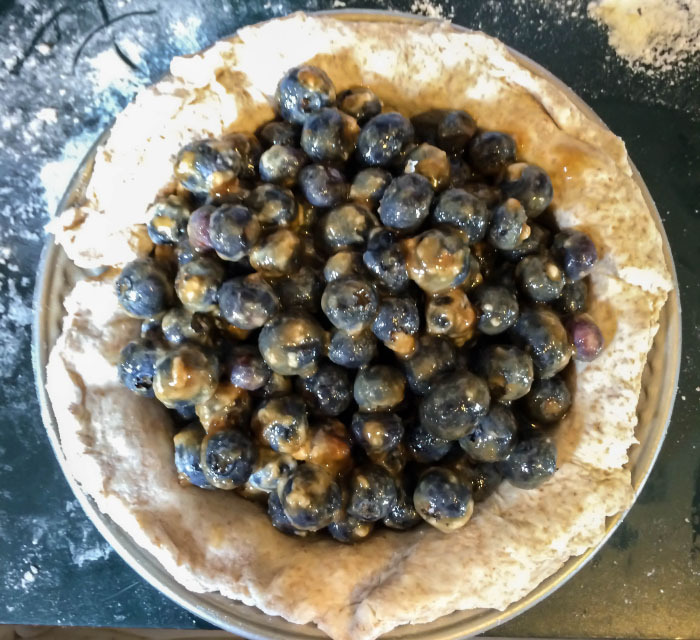 So please, make this delicious little mini blueberry pie – or the full thing, if you’re ambitious and/or pastry-gifted. Then sit out on the porch or picnic and devour this little blueberry pie, enjoying the last of summery things in summery weather before fall officially arrives. Let’s be real, we all want sweater weather and everything pumpkin to arrive, so you better make this pie soon. 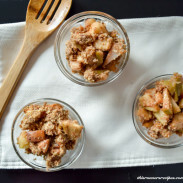 Because when fall arrives, you know what that means: Apple pie. Pumpkin pie. Apple bacon bourbon pie. Chocolate pumpkin pecan pie. Knowing me I’ll probably put acorn squash or butternut squash in a pie this year for Thanksgiving and everyone will wonder why they let me make dessert for family events. Maybe I should just stock up on blueberries, freeze them, and make this blueberry pie. Either way, it looks like the end of summer won’t be the end of me making you sweet little pies. I think I’m overcoming my fear of baking pie crust (Ryan rejoices). If you want to make a full size pie, double the crust and the filling – or use the same amount for the crust if you want a single crust pie. 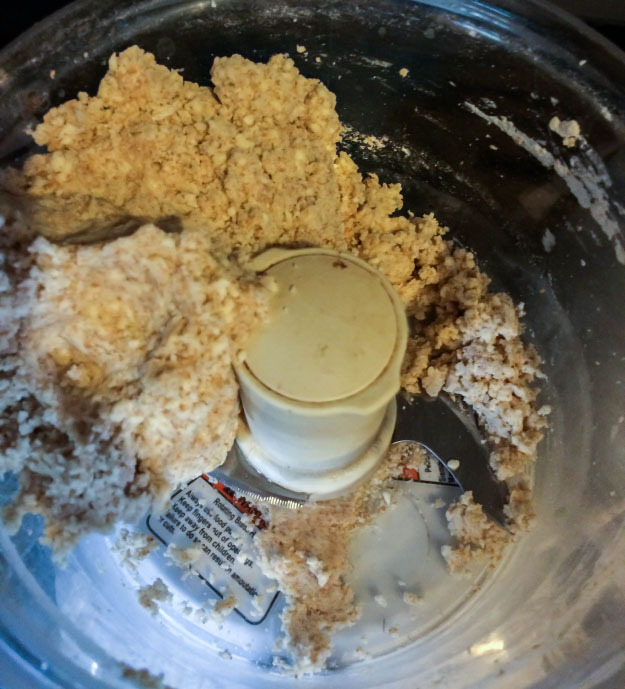 Add the flours, sugar, and salt into food processor; pulse to combine. Cut the butter into cubes, add, and pulse until the butter combines with the mixture into coarse crumbs. 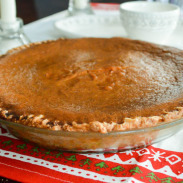 Be careful not to over-mix - you don't want a tough pie crust. Start the processor running, and slowly add the water. Be careful again not to overmix; the processor should not run for more than 30 seconds. The dough should squeeze together; if it is too crumbly, add water 1 tablespoon at a time. Remove the dough from the processor, and shape into a circle. Wrap in plastic wrap, and chill for 30 minutes to one hour in the fridge. (I chilled in the freezer for 10-15 minutes, and was able to work with the dough well). 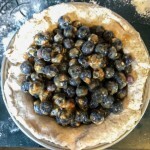 Meanwhile, prepare the filling by combining the blueberries, flour, sugar, salt, and lemon juice in a bowl. Preheat the oven to 400*. After chilling, remove dough from plastic wrap. Lightly flour a clean, flat surface and divide dough into two. Roll each piece into the diameter of the crust. Grease the pie pan and place one of the crusts in it, conforming to the pan. 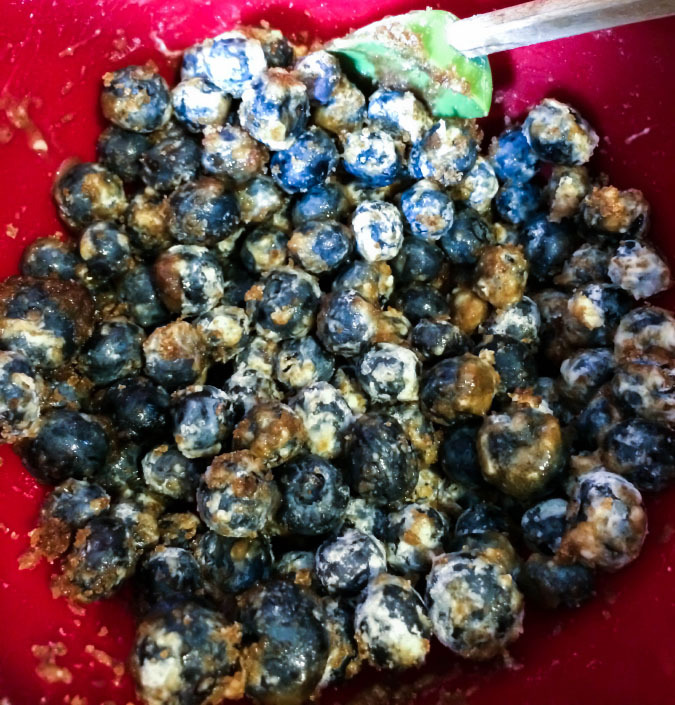 Fill with the blueberry mixture. 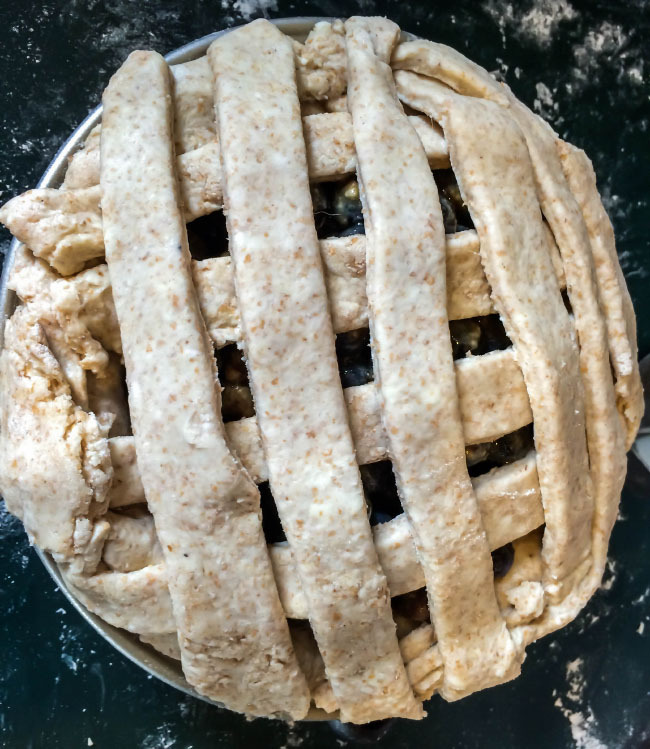 Top with the second crust: you can simply place it on top and crimp together the edges, or cut it into pieces to create a lattice or other design crust.